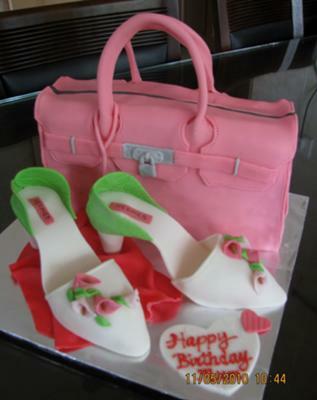 To make this Hermes bag and shoe cake, I have baked a 10" square cake and trim into a bag shape. A thin layer of buttercream over the cake before covering it with fondant. The shoe is made of modeling fondant. you did a wonderful job, i really like it. Hi Nancy, thank you for your encouragement will keep up d good work. Cheers n God bless.